Fundación Pablo Atchugarry together with Ms. Heidi Weber, owner of the Heidi Weber Museum – Center Le Corbusier in Zurich have presented an unprecedented exhibition for the region, with more than 120 works of the artist Le Corbusier that included: oil paintings, sculptures, tapestries, lithographies, prints, drawings and poems, selected from the Heidi Weber Collection, as well as the furniture designed by him, that for the first time arrived in South America. The Heidi Weber Collection is located in Zurich where part of it is shown at the Museum that Le Corbusier himself projected for Heidi Weber, it constitutes his last work and a brilliant synthesis of his artistic explorations. 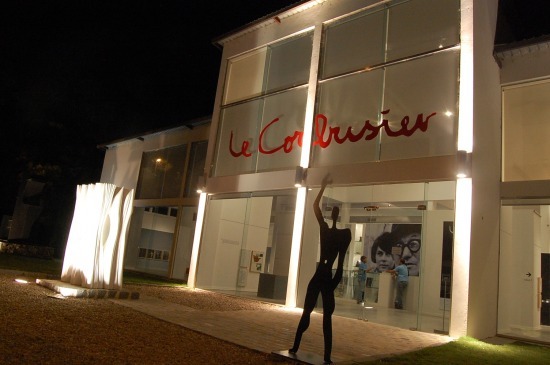 The exhibition presented Le Corbusier as a universal artist showing how his ideas work in different disciplines, constituting a place of encounter and reflection on the influence that this great architect, painter, sculptor, urban planner, writer, editor and furniture designer has had on our country and on the contemporary world. The exhibition was complemented with a program that included music, films, conferences, seminaries and workshops where different historians, architects and universities of the region and the world participated.